A Chinese dish of mixed vegetables including sliced broccoli, sliced capsicum, sliced mushrooms and beancurd skin. 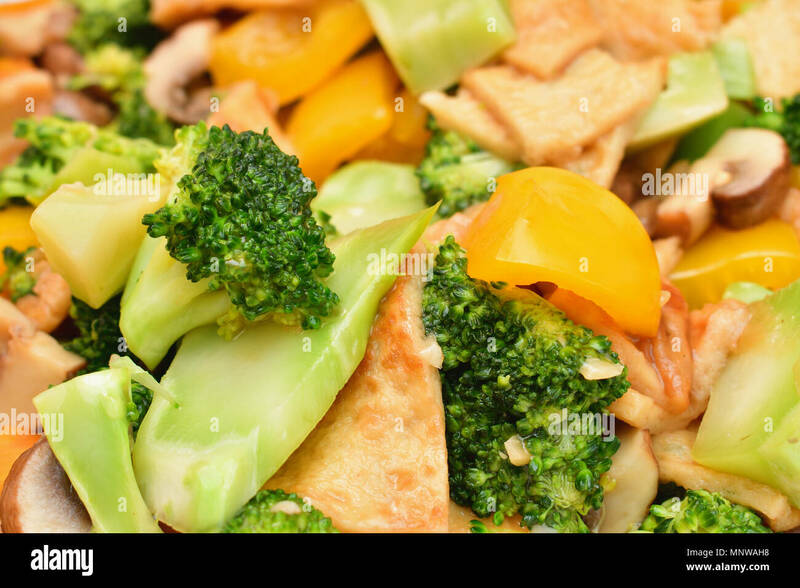 A healthy Chinese dish of mixed vegetables including sliced broccoli, sliced capsicum. sliced mushrooms and beancurd skin. Cooked and flavoured with oyster sauce.